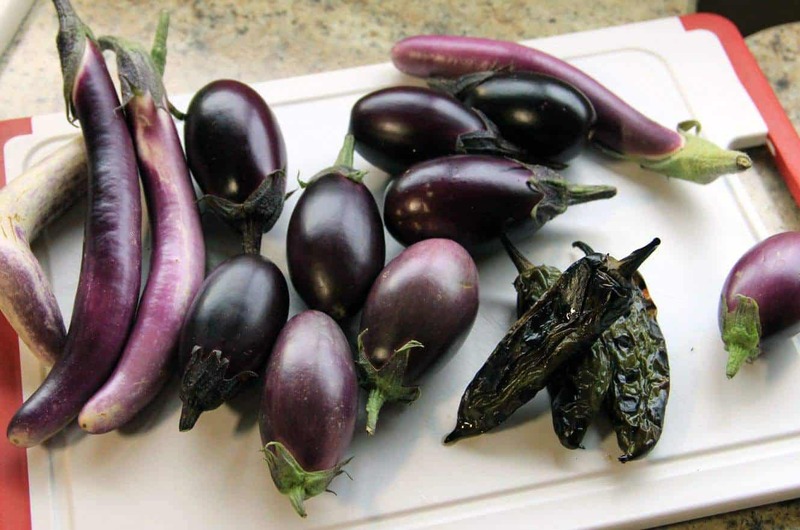 I’ve had a bumper crop of these tiny eggplant and jalapeños this year – all grown in large pots by my RV – along with the cherry tomatoes and herbs. When cooking for myself I like to keep it fairly simple and I try use fresh ingredients. Plus, when you barely have 1.5 feet of counter space, you have to be resourceful too! 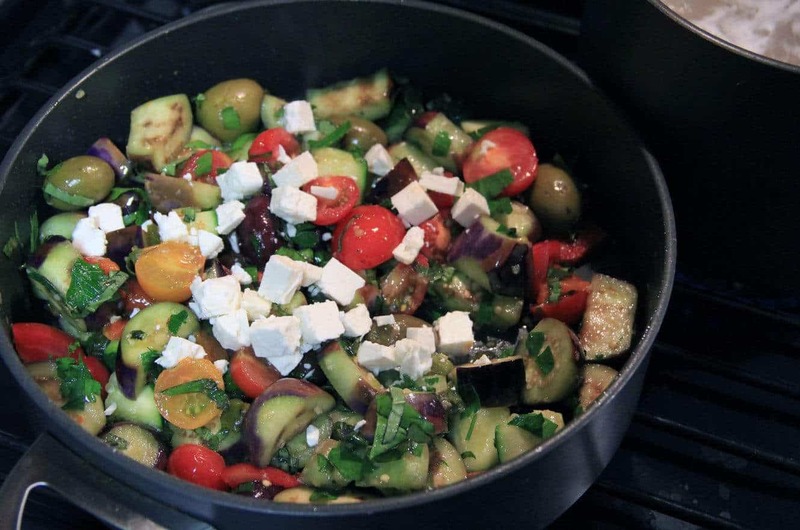 I start by heating up some olive oil in a pan, throw in a few minced cloves of garlic, toss in the diced zucchini and eggplant then get the rest of my ingredients together. 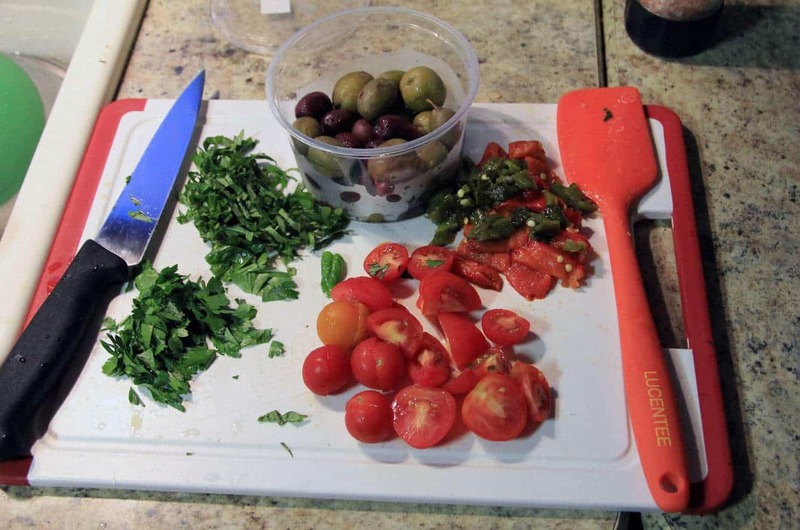 Once the zucchini and eggplant have become tender I throw in the halved cherry tomatoes, the red and jalapeños peppers I’d roasted earlier, basil and flat leaf Italian parsley, and a few olives. Once it’s warmed through, I toss in the feta, add plenty of salt and pepper and serve it over whole wheat pasta with a squeeze of fresh lemon. And Voila! Something quick and easy that’s healthy for you!